Cell phones, GPS and black boxes have prevented modern-day travel disasters from being full-fledged unsolved mysteries--the kind that actually make you lose sleep the night before a trip. But sometimes fate opts to swallow its victims into a black hole of nothingness, leaving only a trail of scant clues and an open door for intricate theories about what might've happened. (Not to, y'know, scare you or anything.) We all know about the Bermuda Triangle and the Titanic, but history has provided us an ample crop of lower-profile legends that still warrant the same shock and wonder. And often there's enough of a trail left over that curious readers can visit the sites in question and investigate the mystery for themselves. From ghost ships to UFOs and disappearing aircraft, gather around the light of the Where I've Been campfire and let us spin you a tale. But proceed with caution. In 1959, a group of nine young, experienced Russian skiers, led by Igor Dyatlov, were to set up a camp in the Ural Mountains with the goal of reaching the most difficult mountain, Otorten. Due to worsening weather and snow storms, they had to deviate from their plans and set up camp on another slope. When weeks passed and their safety telegraph was never sent, their families demanded a search. Authorities descended upon the mountains and finally discovered their abandoned campsite -- and what was found horrified and astounded the search team. now covered in snow, had been torn open from the inside. 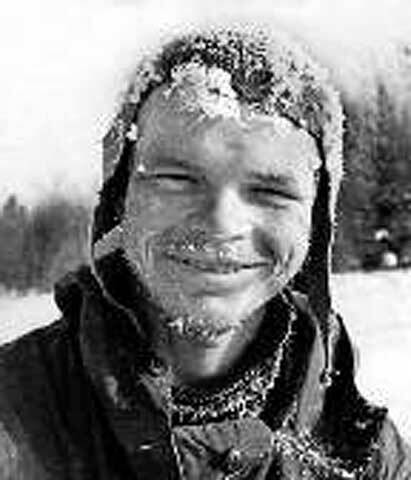 Left behind in the tent were the skiers' boots and shoes, and authorities followed the skiers' bare footprints to find two of them dead under a tree, both dressed in their underwear, and then three more skiers' bodies in between the tree and the encampment, including Dyatlov's (pictured left). One man had a minor fracture in his skull, but it appeared all were attempting to return to camp and had died from hypothermia. Despite some odd clues, authorities suspected no foul play -- that is, until they found the four other bodies two months later. Three of these bodies had fatal injuries; one had major skull damage, while two had sustained serious chest fractures -- all of the injuries given with the brute force "of a car crash." One woman was missing her tongue. However, there were no signs of struggle and no other footprints, and the injuries were too forceful to be inflicted by other humans. Additionally, the bodies were found with significant levels of radiation, and some had an unnaturally orange skin color and abnormally gray hairs. Some were wearing patches of clothing from their fellow skiers, suggesting they were taken from the corpses of the already-dead, but every skier was certainly under-dressed enough to suggest they had left in haste in the middle of the night. Investigators, baffled by the circumstances, concluded that the skiers had been killed by an "unknown compelling force." However, government authorities demanded that the investigation be halted and all documents become sealed as top-secret, including this nugget, which became public years later: 50 kilometers south of the incident, around the same time of the tragedy, another group of independent hikers had reported seeing strange orange spheres in the sky. The cloud of fear surrounding the Cold War era spawned lots of sci-fi alarmism and UFO sightings, but the Dyatlov Pass Incident--its area now named for the ski group's leader--was troubling enough to deserve such panic. While more documents have been released since the event, the mystery behind the incident was never solved. On January 16th, 1942, TWA Flight #3 crashed into Table Mountain near Las Vegas, Nevada, killing all 19 passengers on board. 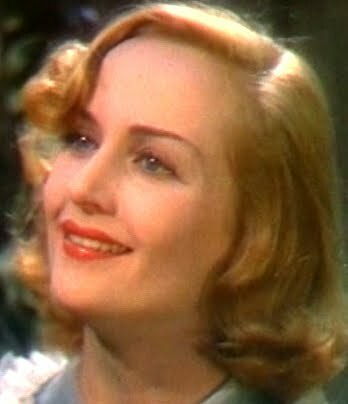 One of them was Hollywood superstar Carole Lombard, the wife of actor Clark Gable. To this day, the crash was attributed to a navigational error by its pilot; however, the series of odd events that led up to the disaster suggest there might have been much more at play. er normal train route. The flight had been routed from New York to Indianapolis and had been scheduled for one more stop in Albuquerque, New Mexico, before arriving in Burbank, California. After Lombard (pictured right) boarded, the pilot announced that the plane would be landing in St. Louis and delayed due to inclement weather. The weather around St. Louis was perfectly clear at the time, though, and passengers were confused as to the true reason why the flight would be delayed the next two hours. Finally, the plane departed; however, when it arrived in Albuquerque, passengers were oddly requested to relinquish their seats to a number of army pilots, which was rare at the time and particularly strange when one of the passengers was as influential as Lombard. Albuquerque's proximity to Area 51 in Roswell also aroused suspicions later on. The flight crew was also replaced in Albuquerque, and Lombard insisted she keep her seat; however, another unscheduled stop had to take place, this time a re-fueling mission near Las Vegas. After completing the re-fuel, the experienced pilot inexplicably took off nearly seven miles off course and far lower in altitude than necessary. The bizarre errors led to the explosive crash into Table Mountain, which incinerated all evidence within the plane. In 1985, about 100 classified FBI documents were released to reveal that UFOs were sighted near the same area as the crash site, and evidence suggested that the Army pilots from Albuquerque were put on the plane to go investigate the occurrences, and Ms. Lombard might've been caught in the conspiracy. Lombard would later be considered the first female casualty of World War II, and to this day the event is still considered a freak accident. After watching Capt. Jack Sparrow fight off CGI skeletons in Pirates of the Caribbean , it became a bit easier to laugh off the idea of a "ghost ship" trolling the seas. But ask scraggly sailors and maritime veterans in Vancouver about the S.S. Valencia disaster, its crash site known as "The Graveyard of the Pacific," and it won't be as easy to crack jokes. Until the cinematic demise of the Titanic , it was the tragedy of the S.S. Valencia that haunted the minds of travelers mulling sea voyage. The ship, carrying 164 passengers on a route not normally traveled by the crew, embarked off the coast of San Francisco and set off for the port of Victoria when strong winds and low visibility of stars caused crew members to lose track of their positioning and sight of land. As they tried to maneuver through Vancouver Island, known for its jutting rocks, the ship slammed into a reef that slashed a massive hole into the ship's hull. As water flooded in overnight, the captain attempted to steer the ship toward shore only to hit more rocks. Against his orders, lifeboats were lowered--improperly. In the confusion, some rafts flipped upon lowering, knocking all of its passengers into the water, while two others capsized and at least one--number 5--disappeared. All women and children died, many of them never identified, clinging to the ship cold and terrified as it slowly descended. Some lifeboats that had embarked successfully with survivors were never found, including lifeboat number 5. A shroud of mystery entered after the investigation. Months after the event, sailors spotted a ship near Vancouver Island that resembled the Valencia, seen with a number of apparitions holding on to the mast in horror. Similar sightings were reported in the years after the event, often by shipmates not known to fabricate. Various fishermen off the Vancouver coast reportedly spotted lifeboats carrying skeletons that had drifted into a cave, but they were never found. Twenty-seven years after the disaster, when the case was all but in the back of the minds of sailors, the stray number 5 lifeboat was found drifted ashore, its paint still in very good condition, with no passengers aboard. Part of that lifeboat is currently on display at the Maritime Museum of British Columbia.